"Marking the 75th Anniversary of Tchaikovsky Concert Hall. Award winners. Passing the Baton From Generation to Generation. Grand Gala featuring winners of International Tchaikovsky Competition" (October 12, Tchaikovsky Concert Hall, Moscow). 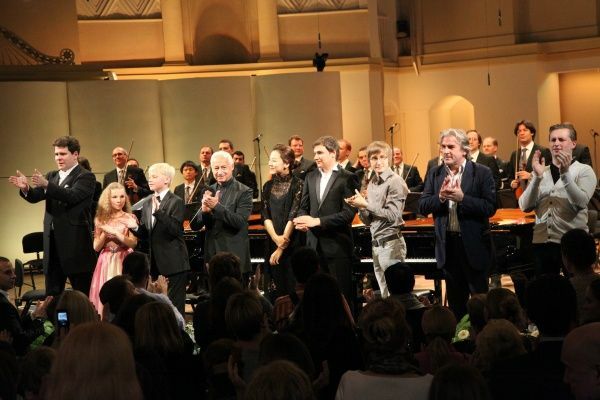 This evening on the scene also came pianists Denis Matsuev, Barry Douglas, Barbara Kutuzova, Aleksander Malofeev and the Chamber Orchestra "Moscow Virtuosi". Soloist and conductor - Vladimir Spivakov.